Protection of on-deck equipment within the marine segment is difficult enough given the demanding operating and variable climatic conditions. With increasing environmental legislation and material regulation, the process of selecting the right grease for marine applications has become even more challenging. 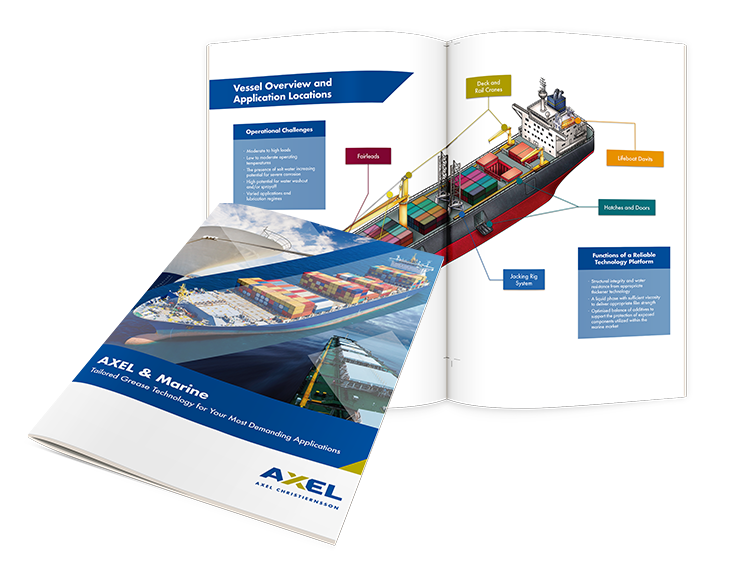 AXELS’ Marine Brochure seeks to highlight a selection of relevant grease technologies with the greatest potential to best meet the increasing performance and environmental demands of the marine segment.